All Saints Anglican Church, located on the north-west corner of Cobb and Burchett Streets, Penshurst is a modest example of Victorian Gothic Revival. It dates from 1865, about the same time as the other churches in Penshurst. 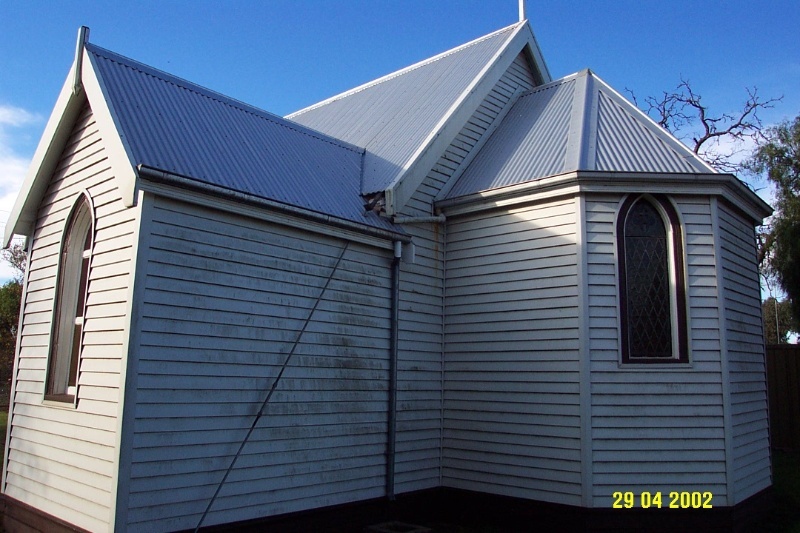 The church is of very simple design, constructed of timber framing and weatherboard with timber framed windows. The building has three bays with a porch at the front and a vestry at the rear. Its limited scale may reflect not only the general pre-dominance of Scottish Presbyterian and German Lutheran settlers in the area but also the presence of the Twomey family, the pastoralists of Kolor and Old Stockyard (Banemore), who were Irish Catholics. The church retains a very high degree of integrity and is in excellent condition. 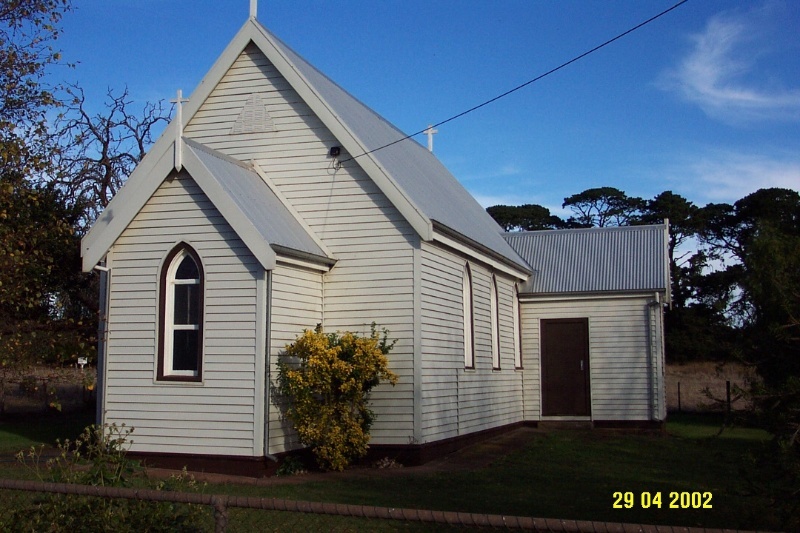 All Saints Anglican Church is of social, architectural and historical significance to the township of Penshurst and the Southern Grampians Shire. All Saints Anglican Church is of architectural significance because it demonstrates the use of the traditional 'Carpenter' Gothic revival style to express specific Anglican values. It acts as a comparison with the churches of other denominations in Penshurst. All Saints Church is of historical significance as the smallest and possibly the last church to be built in the town, illustrating the limited growth of the Anglican faith. It has demonstrated the role and position of the Anglican Church and its congregation in the community for nearly one hundred and forty years. Small weather board church in the 'Carpenter' Gothic style with a porch at the front, a vestry to the side and a polygonal apse at the rear. The church is three bays. The roofs are corrugated iron. He only stylistic details are the pointed windows and the finials on the gables.